One major benefit of buying a new or used car from our Honda dealership is the option to trade in your car in the comfort of your home. Our online value your trade tool provides a streamlined, hassle-free way to find out how much your used car is worth. In three easy steps, you can find out your used vehicle’s trade-in value within minutes. All you have to do is provide details about your vehicle’s make, model and options then we will send you a confirmation copy via the email you use. By trading in your vehicle, you can get rid of your used car with no further commitment and cut down costs on your next purchase. 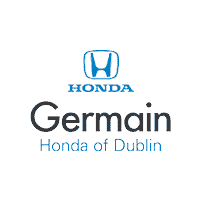 Germain Honda of Dublin is your go-to Honda dealer for new and used cars for sale. We offer a variety of Honda financial services including lease deals to help you make a smart financial decision you won’t regret. To get started, value your trade-in by following the three easy steps below. For further assistance, contact our finance center or give us a call at 877-686-4527 today!